The feeling is very good. Hope it can save my teeth. haven't use...but seems like not bad. The packaging is good and delivery service is fast. Excellent! 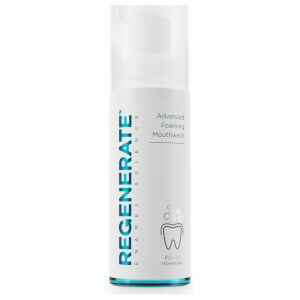 Regenerate is an excellent product it leaves your mouth feeling minty fresh and I have noticed a distinctive lack of plaque build-up. Excellent product. Leaves mouth feeling minty fresh and clean. Noticed a distinct lack of plaque build up since using this toothpaste. Stopped gums bleeding AND rolling at night!!! Ok, this is crazy. I've had a small amount of bleeding from my gums for as long as I can remember, plus I also have the disgusting and unfortunate habit of drooling in my sleep. It's the worst. And since using this magnificent, unbelievable product? Gum bleeding is almost nil AND somehow I'm not leaving a disgusting puddle of drool on my pillow in the morning! 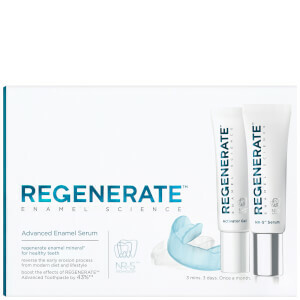 Regenerate scientists, you're a bunch of geniuses! I'm into you for life. The feeling is completely different from the normal use of toothpaste.After use, feel the teeth strong. I like it, i will continue to buy it. This is my fourth tube. I feel after using it for a while I can give a proper review. Firstly, and most important for me, is that my teeth are nowhere near as sensitive as before. I can go from hot to cold foods without pain. Secondly, my teeth feel smoother - don't how that works but it does. Lastly, my mouth feels fresher for longer. 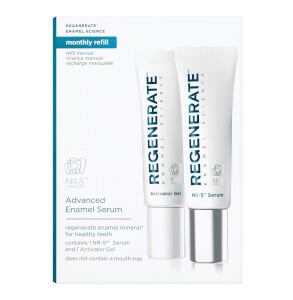 Now I have started using Regenerate I will never to back to using other toothpastes, 10 out of 10 from me!